So, what can Rey do? How can she build a Jedi Order that stands the test of time and doesn’t fall to the same mistakes her predecessors made? More importantly, how can she build an order that can defeat Kylo Ren? I believe that storytellers will look to human history to guide Rey’s future. The Jedi Order is an amalgamation of the samurai, the Knights Templar, and Buddhist monks. This third influence, Buddhism, needs to come to the forefront in Episode IX if Rey is going to be successful in her quest to bring the light back into the galaxy. 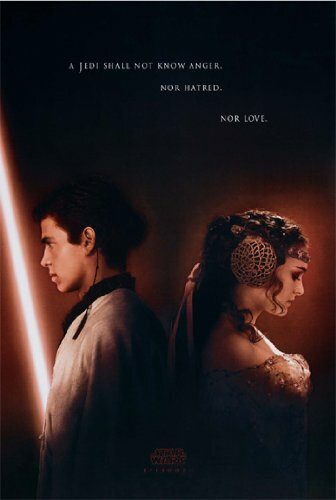 A shockwave went through the fandom in 2002 when the teaser poster for Episode II was released. “A Jedi shall not know anger. Nor hatred. Nor love.” That text surprised many—the guardians of peace and justice weren’t allowed to have romantic relationships? For western sensibilities (familiar with fairytale romances) this was nonsense. The idea that that a superhero couldn’t perform her function if she fell in love and got married was ridiculous. Not to mention that Luke then had a wife whom the novels had introduced more than ten years earlier. From a Buddhist perspective, however, this idea is the norm. Buddhist monasticism and asceticism have been around as long the Buddha himself. The Buddha lived about 2500 years ago in India. He was a prince who was pampered by palace life until he realized that life was full of suffering. He left his kingdom, his wife, and his newborn son to pursue an end to suffering. The Buddha joined the plethora of wandering monks and ascetics in India at the time. After six years of searching, he finally grasped (as a result of his own deep contemplation) his revolutionary path to the end of suffering. Upon this recognition, the Buddha decided to teach his path to others; inspiring a large number of men and women to renounce their materialistic lives and join his new monastic order. In Buddhism, the path toward the end of suffering is paved with giving up attachments and devoting your whole life to compassion for others. If a Buddhist monk or nun has no attachments to family or possessions, he/she can focus solely on compassion and helping others without being distracted by materialistic concerns. This idea is very much echoed within the old Jedi Order. The idea is that you give up your family and your possessions in order to bring peace and justice to the galaxy. However, this is also where the Jedi’s ideas diverged from Buddhism, and why the old Order fell: the mission to bring peace and justice isn’t always compatible with a mission of compassion. Compassion requires that you love all and care for all no matter what they have done or could do. Compassion describes Luke’s actions when he threw his saber across the throne room of the second Death Star in order to save his father. This action is referenced by Rey while countering Luke’s argument during her second lesson on Ahch-To. Luke tells Rey that a Jedi trained Darth Vader and brought destruction to the Republic. Rey reminds Luke that it was a Jedi who saved Darth Vader. Rey is already aware that the path of compassion is the way to bring the Jedi back while avoiding the mistakes the Jedi made in the prequels. One of the features of Buddhist monasticism is the idea that the monks are dependent upon the community and the community is dependent on the monks. Buddhist monks provide the community with instruction. This instruction can be in form of religious teachings (how to meditate) or moral teachings (how to live a good life). In return, the community provides the monks with material support. 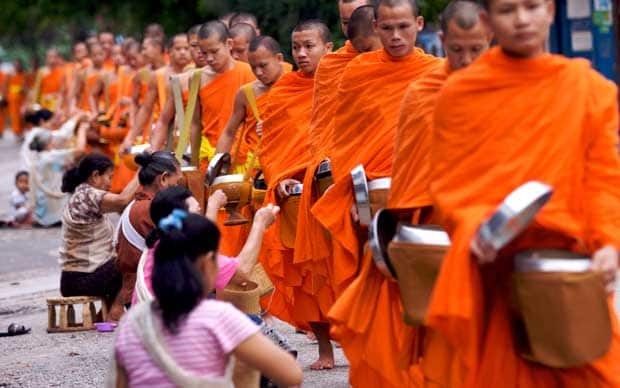 Monks from many Buddhist traditions are forbidden to handle money or to grow or cook food. Some can only eat food served to them. This makes Buddhist monks completely dependent on the community for their livelihood. I can’t think of any examples in Star Wars where the Jedi provide teachings to the regular population. The Jedi of the Republic are entirely dependent on the senate, not the common people, for their livelihood. As the senate becomes less and less a representation of the people and more corrupt and power hungry, the Jedi are dragged down with them. Luke Skywalker is correct; the Jedi had become hypocritical. They want the galaxy to be in the light, but they spend precious little time helping non-Force-users find their way to the light. The Jedi of the prequel era live in an almost literal “ivory tower”. They have become cut off from the Living Force. Other than Jedi and support staff, they have almost no other life in their temple. It doesn’t seem like a place regular people frequent. There is no animal life either, and precious little plant life. Droids, statues, metal, and concrete are all that comprise this temple. That only a single tree (as seen in The Clone Wars) seems to stand among them is a red flag to the audience that the Jedi have compromised their connection to the Force. Since regular people aren’t exposed to Jedi and their teachings, the dark side is allowed to grow. Without the proper moral instruction and perspective, the populace goes right along with the rising dictatorship. At the same time, the Jedi take the lead in fighting a war on a massive scale and put nearly zero thought into the morality of it. The Jedi use the Force for attack rather than for knowledge and defense. It is here that the Jedi failed. A Bodhisattva is the ultimate symbol of compassion in Buddhism. Bodhisattvas forego nirvana (the ultimate goal of Buddhism, a state of pure bliss where a person is free from attachments) in order to assist others along the road to their own enlightenment. If Rey is going to start a new Jedi Order that will stand the test of time, she will have to become a Bodhisattva figure for the Jedi and the galaxy. At some point, Rey will have to lay down her lightsaber and trust herself not to fight. I expect this to be the climax of Episode IX. Rey will have to trust that compassion will light her way and bring an end to the suffering of Ben Solo. Rey will have trained a new group of Jedi and these Jedi will have to mend their connection to the galaxy as a whole. The spark was rekindled by Luke, but Rey will have to carry the torch to the people of the galaxy. If Episode I is a prologue and Episode IX is an epilogue then they must connect with similar themes. One of the themes of Episode I is symbiosis. Episode IX can use this theme to demonstrate Rey’s understanding of the principles of compassion. Rey must unite the Jedi and people of the galaxy to stop the First Order and the Knights of Ren. Rey’s new Jedi should use the example of the Buddhist’s symbiotic relationship with the community as a guide to unify the galaxy. If the New Jedi can forge compassionate connections with the galactic populace, the First Order will be helpless to stop the re-emergence of democracy. Compassion will allow the New Jedi to stop fighting what they hate and start saving what they love. Great piece! I’d love to see the Jedi evolve in this sort of direction. That said, I hope that Lucasfilm doesn’t lose sight of the utilitarian challenge that the Jedi face. After all, unlike Buddhist monks, Jedi’s devotion to enlightenment gives them superpowers. This creates the dilemma at the core of Jedi identity: while compassion may require detachment, great power also entails great responsibility. Against something as evil as the First Order, both fighting and not fighting have costs. For me, the high point of Episode VIII was watching Luke and Rey each struggle with this dilemma in their own way – Luke takes detachment to extremes, while Rey ignores his advice to run off into battle. Luke models a possible solution in the conclusion, in which he actively embraces the “legend” of his powers, but in a way that inspires through self-sacrifice, rather than feeds hubris through destruction. While I hope that the Jedi find ways to change from their Prequel mistakes, I also hope that Episode IX avoids the “easy” answers to this basic problem that dominate most superhero movies. Good insights, John. This essay and your comment remind me of a frustration I had with the old Legends EU. There is a pretty clear tension between the Jedi’s commitment to serve the Force and their commitment to serve democracy and a sovereign intergalactic state. Usually these two interests align, but not always. Yet many Legends series–I think of Fate of the Jedi in particular–would seemingly wade into those waters, but then answer these dilemmas in the least interesting ways possible. It would be great to see some further exploration of this tension in meaningful ways.